Seneca Falls is a rich historical village. As the birthplace of women’s rights, the entire Village is a New York State Heritage Area and Historic Preservation District. 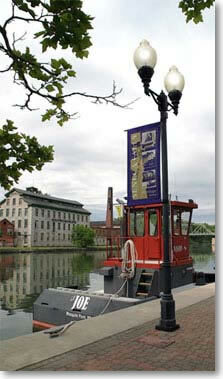 The Village of Seneca Falls retains its 19th century charm yet it also has great proximaty to all of Central New York. Seneca Falls is fifty miles from Rochester and forty miles to Syracuse with convenient access to the New York State Thruway. Excellent shopping is located nearby with Premium Outlets in Junius, many nearby educational institutions and the fantastic natural beauty of the Finger Lakes. Satisfying tenants in Seneca Falls, for over twenty five years. Come explore our apartments, offices, or stores.